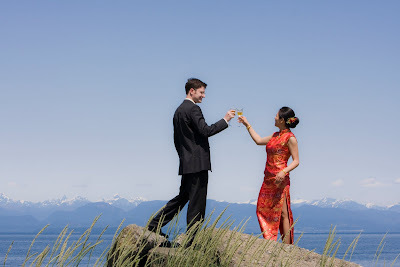 Sean & Karen’s May wedding in Courtenay! We started the day with a traditional Chinese tea ceremony in Comox and then made our way up to the Raven Lodge on Mt. Washington for the wedding ceremony. As a wedding photographer, with being able to work with this amazing couple.With great personalities, a variety of locations and beautiful outfits and scenery I could not ask for anything more.